Creed: Rise to Glory, the upcoming VR boxing game from developer Survios (Raw Data, Sprint Vector), will be coming to the PlayStation VR and Oculus on September 25th. It’ll be available via PSN, Steam and Oculus Home, and if you don’t have a VR headset, you can check it out at VR arcades starting on the launch day. We had a chance to play the game during E3 2018, and it’s an intense workout that’ll have you feeling like an actual boxer – without the pain from getting pounded in the face and ribs. (You can read about it here.) 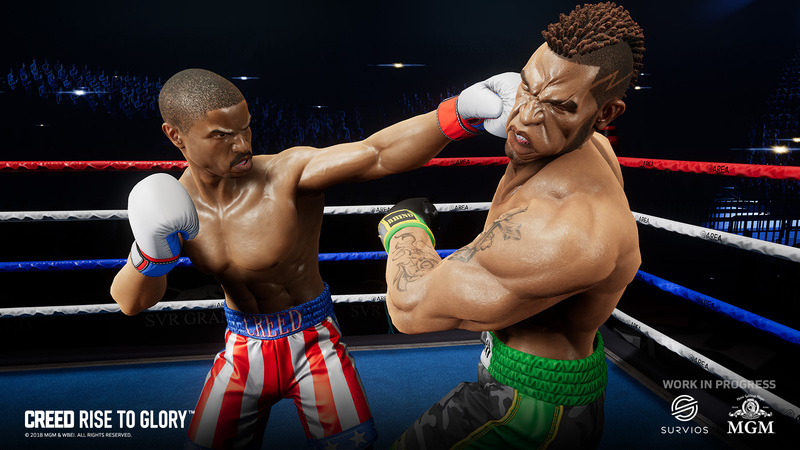 In the game, you play as Adonis Creed, the son of Apollo Creed, and he’ll be facing many opponents. Rocky Balboa will be helping you with training at gyms like Might Mick’s and Front Street Gym. Creed: Rise to Glory is now available for pre-order on Steam and Oculus Home. It’s the year of Adonis Creed since Creed II will be hitting theaters on November 21st. The post Creed: Rise to Glory coming to PSVR and Oculus on September 25 appeared first on Nerd Reactor.